Alexandria, VA (December 10, 2014) – Today the US Congress passed legislation that will preserve the nation’s Loran infrastructure and provide the authority to convert it to an eLoran system under a cooperative agreement. This action comes just weeks after it was revealed that the US Administration is seriously studying non-space systems, including eLoran, to complement the GPS satellite network. the date on which the Secretary provides to the Committee on Transportation and Infrastructure of the House of Representatives and the Committee on Commerce, Science, and Transportation of the Senate notice of a determination by the Secretary that such infrastructure is not required to provide a positioning, navigation, and timing system to provide redundant capability in the event GPS signals are disrupted. EXCEPTION. —Subsection (a) does not apply to activities necessary for the safety of human life. AGREEMENTS. 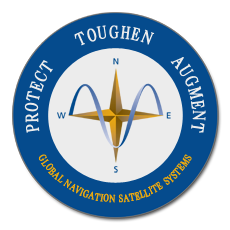 —The Secretary may enter into cooperative agreements, contracts, and other agreements with Federal entities and other public or private entities, including academic entities, to develop a positioning, timing, and navigation system, including an enhanced LORAN system, to provide redundant capability in the event GPS signals are disrupted.